If you are a new visitor to my website or a practicing Buddhist beginning to develop an understanding of the direct teachings of the Buddha, let me tell you what you can find here. The entire focus of my teaching is on the Buddha’s Dhamma as preserved in the Sutta Pitaka, the second book of the Pali Canon. On nearly every page of this website is a drop-down menu that has the articles and talks on Becoming-Buddha.com listed by subject. Click on “Dhamma Articles and Talks BySubject” to further your study of the Buddha’s Dhamma by individual subject. There is also a Search bar at the bottom of every page. Much of modern Buddhism relies on adaptations, accommodations, and embellishments to the Buddha’s original teachings that often contradict what an awakened human being taught. This leads to further confusion, deluded thinking, distraction, and continued stress and suffering. If you have found modern Buddhist teachings somewhat irrelevant, difficult to understand, or practically apply and integrate into your life, you will find the Buddha’s direct teachings entirely relevant, easily accessible, and immediately practical. The Pali Canon is a collection of three books. The first book is the Vinaya Pitaka. A very simplistic explanation of this book is that it covers rules for monastic life and behavior in general, as well as background on the development of moral and ethical aspects of Buddhism. The third book is the Abhidhamma. This book was added to the Canon well after the Buddha’s passing. It is used to establish a mystical and magical blanket over the Buddha’s teachings allowing for convenient speculative conclusions that were never intended by the Buddha. The Pali Canon is a somewhat difficult read. What does become apparent after a careful study is the consistency of the Buddha’s teachings and how every teaching the Buddha ever presented was presented in the context of Four Noble Truths. When this is held in mind even the more obscure or seemingly difficult to apply teachings become useful and applicable. It is ignorance of Four Noble Truths that underlies all confusion, deluded thinking, and ongoing stress and suffering. This is what the Buddha awakened to and described in the PatticaSamuppada Sutta, the primary sutta on Dependent Origination. His very first teaching, known as a “discourse,” teaches the truth of how stress and suffering that follows ignorance of Four Noble Truths and how the Eightfold Path develops emptiness of this initial ignorance and profound wisdom of the true nature of human life. The Buddha, finally engaging in a Noble Search, discovered a Timeless Eightfold Path to end all confusion, deluded thinking, and self-inflicted suffering. Shamatha-Vipassana meditation is the meditation method the Buddha taught as the eighth factor of the Eightfold Path. Practiced within the framework of the Eightfold Path, Shamatha-Vipassana meditation will develop a tranquil and well-concentrated mind supporting the refined mindfulness necessary to integrate the Eightfold Path into one’s life. The Satipatthana Sutta initially teaches the Four Foundations of Mindfulness. This is the foundation that Shamatha-Vipassana meditation rests upon. This foundation provides the direction to recognize and abandon distracting feelings and thoughts which supports deepening concentration. This is the primary purpose of meditation as the Buddha teaches meditation. The balance of the Satipatthana Sutta explains what to hold in mind, what to be mindful of, as concentration increases and understanding of the Buddha’s Dhamma becomes integrated. The Anapanasati Sutta is a sutta where the Buddha uses the example of accomplished Monks to describe the results of a properly integrated Dhamma practice. You may have heard the word “Insight” with regard to Buddhism. Most modern Buddhist practices teach a very broad and overly analytical form of insight and lacking the context, guidance, and purpose of Four Noble Truths and the Eightfold Path. This often encourages further distraction and avoids addressing ignorance of these Four Truths. Metta is a word that means “goodwill” or “loving-kindness” and incorporating Metta Intentional Meditation can be a great support in putting aside harsh judgments of self and others and assist in calming your mind. Metta can be practiced in addition to shamatha-vipassana. Information on my book Becoming Buddha – Becoming Awakened and a ten-week personal Dhamma study and correspondence course, The Truth of Happiness, is here: John’s Books. A group of like-minded meditators, a sangha, well-focused on the Buddha’s original teachings, will prove to be an invaluable support. All conditioned views will eventually fall away from a mind gently focused in the present guided by the framework of the Eightfold Path. 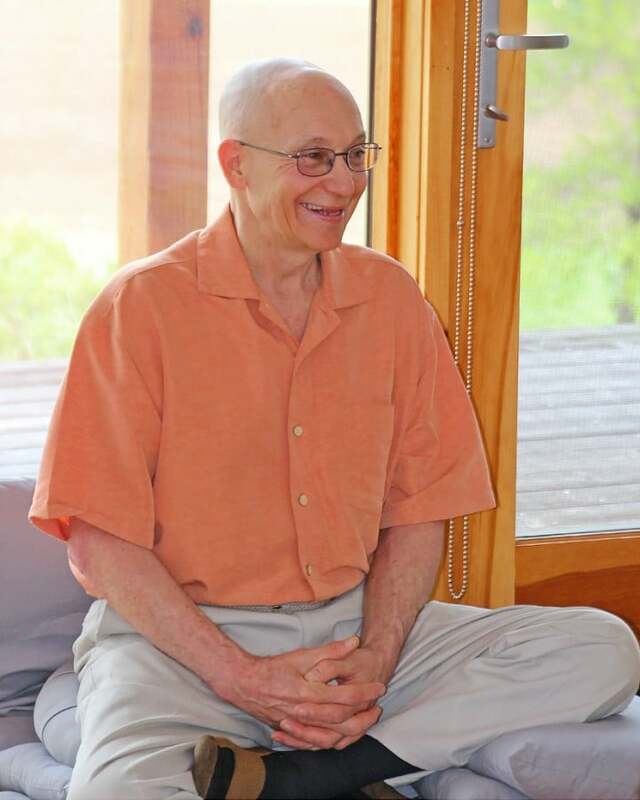 My classes from Cross River MeditationCenter in Frenchtown New Jersey are streamed live and recorded. Here is information on my streaming and recorded classes: Streaming Video Classes and Becoming Buddha Podcast. You can be notified of our classes, retreats and the posting of new articles and recordings by subscribing to our newsletter. Finally, if you are new to Dhamma practice or are re-establishing your practice, take your time, be gentle with yourself and your practice. There are difficulties that arise in developing an understanding of the Four Noble Truths and they are all difficulties rooted in impermanence. Here is an article an talk on When Dhamma Practice is Stressful. Please feel free to contact me through the email form with any questions or comments. The email form is also linked on the top menu.